One of a kind Ammonite fossil from Belgium with small (.10ct) diamond accent. The Large ring in hand fabricated in 14kt rose gold and durable forged stainless steel. 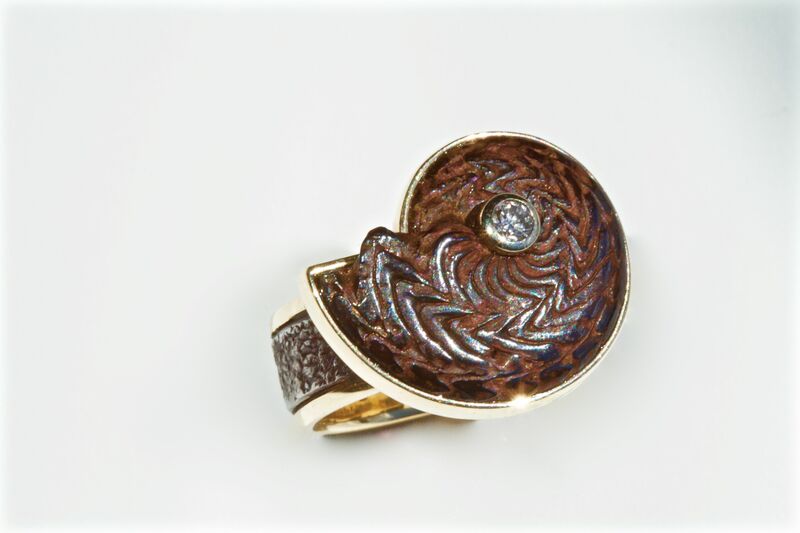 This wonderful ring is in a size 8 1/2.